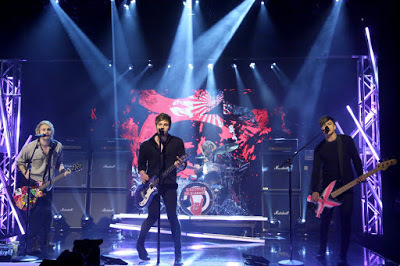 5 Seconds Of Summer did double duty as guests and performers on CBS-TV’s The Late Late Show with James Corden on Monday. The Australian band joined the host to discuss their recently released second album, “Sounds Good Feels Good”, and appeared in a sketch that revealed their early years with a fifth member. 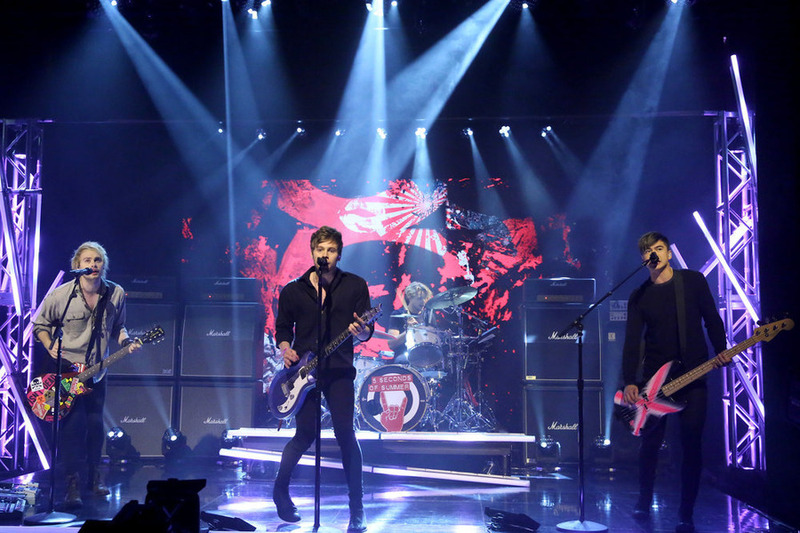 5 Seconds Of Summer then performed “Hey Everybody!”, the latest single from the new record. “Sounds Good Feels Good” debuted at No. 1 on the US Billboard 200. The group’s second straight chart-topper sold 192,000 equivalent album units in its opening week, including 179,000 pure album sales. 5 Seconds Of Summer will launch their 2016 live dates with three shows in Japan in February followed by concerts in the Far East. An extensive UK tour begins in April. 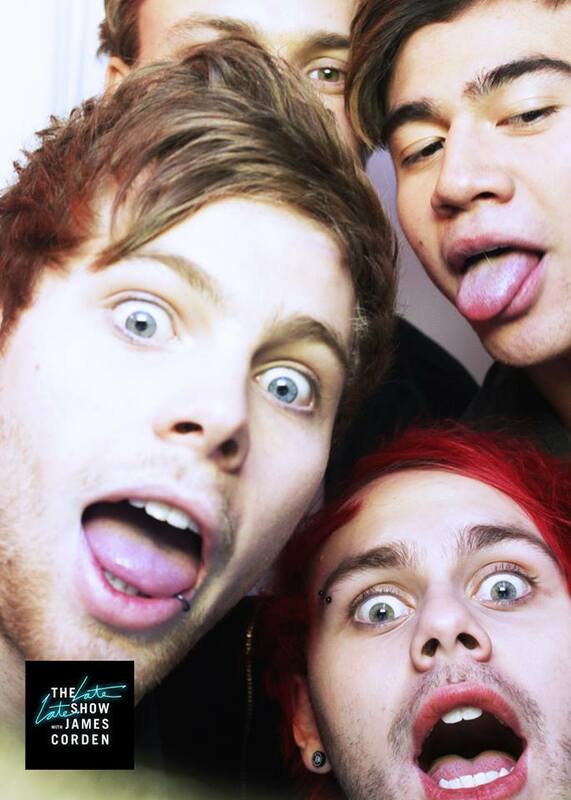 5 Seconds Of Summer have debuted their second album, “Sounds Good Feels Good”, at No. 1 on both the US and UK album charts. Billboard reports the group’s second straight chart-topper sold 192,000 equivalent album units in its opening week, including 179,000 pure album sales. The project was led by the summertime single, “She’s Kinda Hot”, which peaked at No. 22 on the Billboard Hot 100 chart. The latest single from “Sounds Good Feels Good” is “Hey Everybody”, which the group performed recently on The Tonight Show starring Jimmy Fallon. In the UK, the Official Charts Company confirms the band’s album took top spot after outselling the No. 2 debut by Bryan Adams by more than two-to-one. 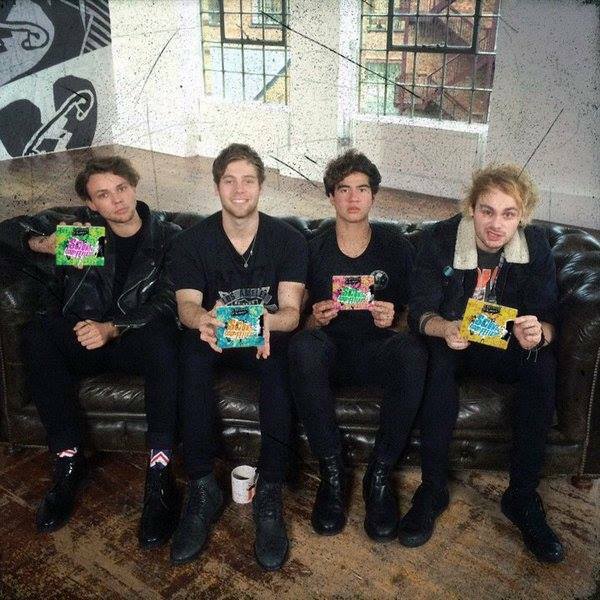 5 Seconds Of Summer are launching the project with an in-store signing at HMV Argyle Street in Glasgow on November 5 and an appearance at the Radio 1 Teen Awards at Wembley Arena in London on November 8. 5 Seconds Of Summer performed their new new single, “Hey Everybody!”, on The Tonight Show starring Jimmy Fallon on Tuesday. Billboard reports the project is on track to debut at No. 1 on the Billboard 200 next week. According to industry forecasters, “Sounds Good Feels Good” is estimated to sell around 185,000 equivalent album units in its opening week. The Australian band’s 2014 self-titled debut record debuted at No. 1 on the Billboard 200 last year with 259,000 copies sold in its first week.